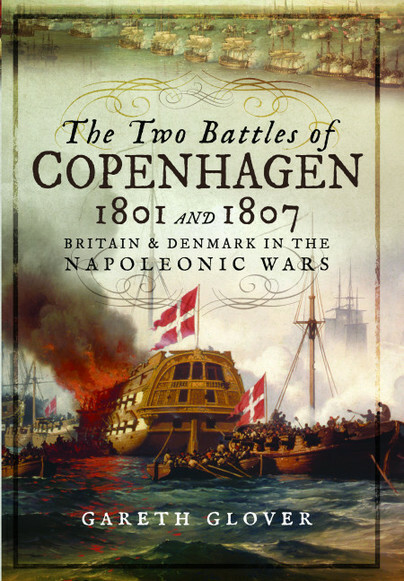 You'll be £15.00 closer to your next £10.00 credit when you purchase The Two Battles of Copenhagen 1801 and 1807. What's this? The Danish capital of Copenhagen was the site of two major battles during the Napoleonic Wars, but the significance of the fighting there, and the key role the country played in the conflict in northern Europe, has rarely been examined in detail. In this absorbing and original study Gareth Glover focuses on these two principal events, using original source material to describe them from the British and Danish perspectives, and he shows how they fitted into the little-understood politics of this region during this turbulent phase of European history. The first Battle of Copenhagen in 1801 – the naval battle celebrated in Britain as one of Nelson’s great victories – and the second – the British army’s assault on the city in 1807 in which Wellington played a prominent part – were episodes in the continental struggle to resist the power of the French. Gareth Glover describes these events in vivid detail, quoting extensively from the recollections of eyewitnesses on both sides. His account is fascinating reading and an important contribution to the history of the period. A complex and at the same time compelling text, full of details little known. Clear and compelling operational chapters examine the development of strategy, discuss the tactics and reflect on the human experience of war. As one has come to expect from Mr Glover, the book has been carefully researched and presents a detailed narrative of the two expeditions and their results, quoting extensively from the recollections of eyewitnesses on both sides, that will appeal to readers interested in British operations outside the Iberian Peninsula during the Napoleonic Wars. Interestingly, Powers describes these two major events from both the British and Danish perspectives, showing well how they fitted into the politics of this region during this turbulent phase of European history. Gareth Glover a former Royal Navy Officer who lives in Cardiff. He has studied the Napoleonic wars for 30 years and gained a reputation as the foremost authority on British archive material. He has brought more than 20 previously unpublished Napoleonic memoirs into the public domain.